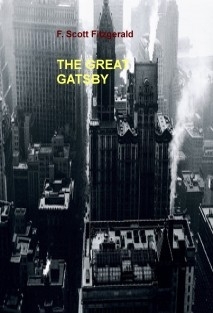 The Great Gatsby is one of the most famous novels by the American author F. Scott Fitzgerald. First published in 1925, it is set on Long Island's North Shore and in New York City from spring to autumn of 1922. The novel takes place following the First World War. American society enjoyed prosperity during the "roaring" 1920s as the economy soared. At the same time, Prohibition, the ban on the sale and manufacture of alcohol as mandated by the Eighteenth Amendment, made millionaires out of bootleggers. After its republishing in 1945 and 1953, it quickly found a wide readership and is today widely regarded as a paragon of the Great American Novel, and a literary classic.